As is customary in this country, when the uniform was 'unveiled', there was a flurry of criticism from many quarters. But I for one liked it from the get go! I think it's stylish and very distinctive. Also, I can tell you - after wearing it all day, every day for several weeks, it was very comfortable; and the value of that cannot be overstated! 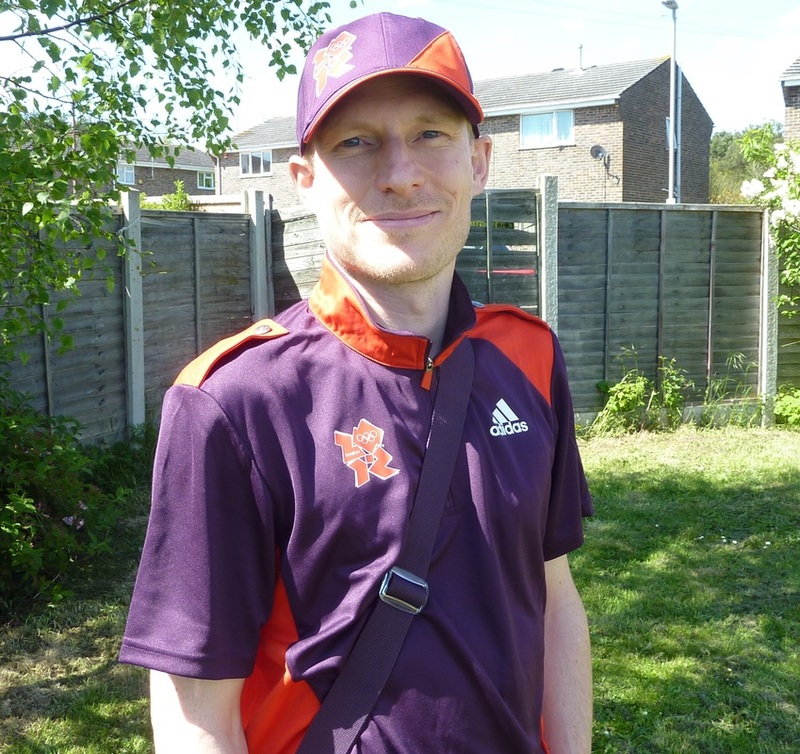 I have to say as well that, (much like a good deal of London 2012) - 'sustainability' was a focal point in the design of the uniform. The two polo shirts we were provided were made from 100% recylced materials; as were the drinks bottles. I think the rain jacket was partly made from recycled materials too. I thought that was a brilliant thing. 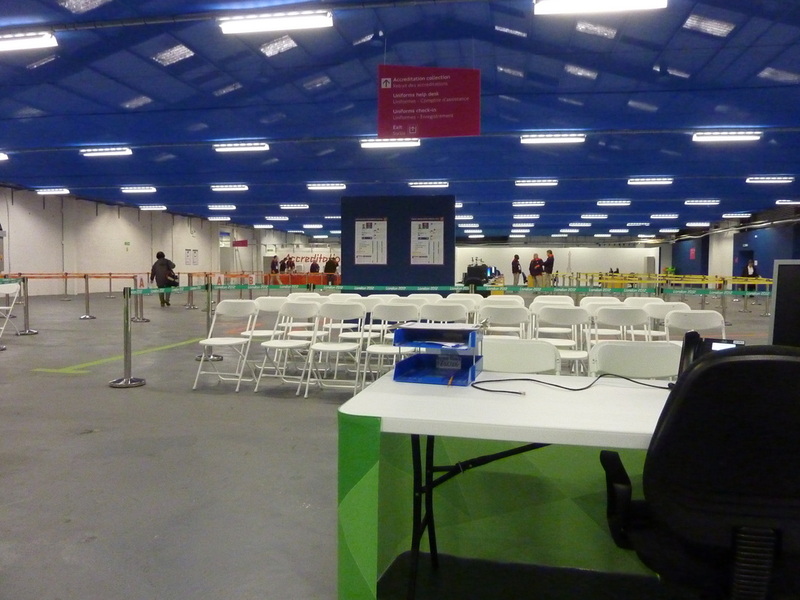 The below images are all taken at the huge 'Uniform Distribution and Accreditation Centre' (otherwise known as 'UDAC' in most LOCOG correspondence) that was set up in West Ham, London. 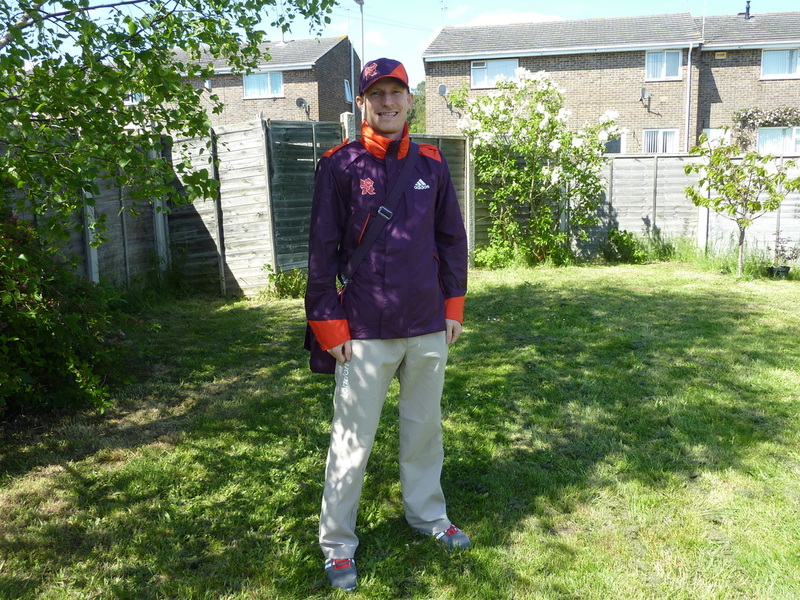 I collected my uniform on the 9th May 2012. The building was enormous and clearly set up to cater for a massive in-flow of people. However, when I went, the place was virtually empty! Please take a ticket and wait....no need when I was there! 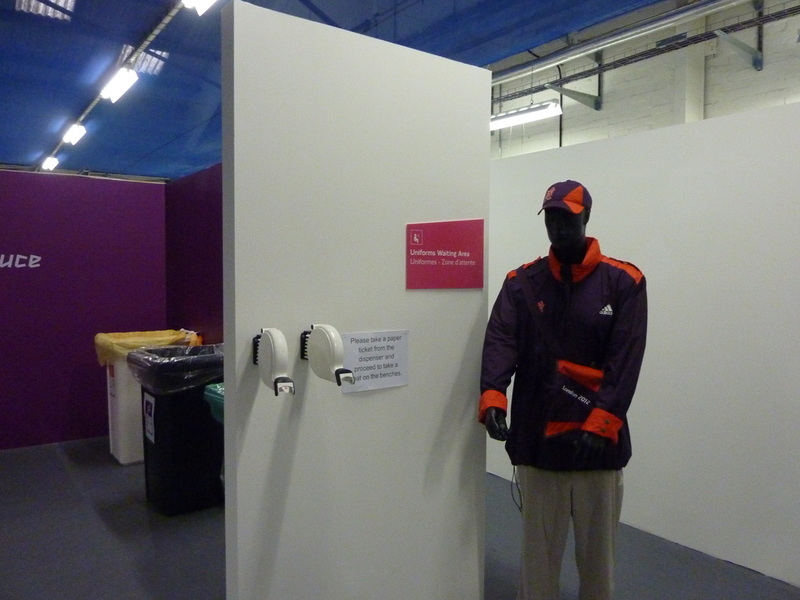 It was stipulated in the LOCOG correspondence, that you had to collect your uniform in person. You could not send someone else to collect it for you. 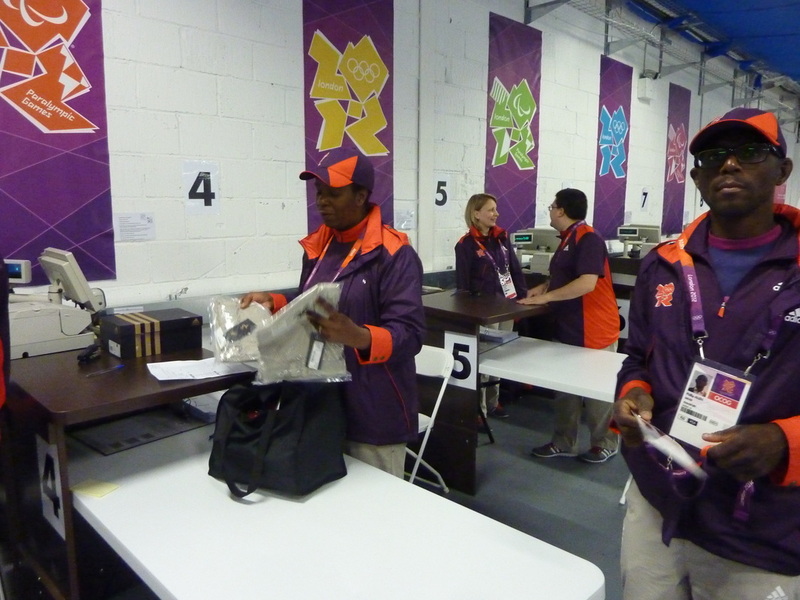 I think this was because as well distributing the uniforms, the UDAC was also the place where you had your accreditation made and collected. This was our security pass which gave you access to the buildings and areas to which you were assigned; and it had to be personally assigned to you. The lovely ladies who fitted me out! Clothing collection point! It was very efficient. 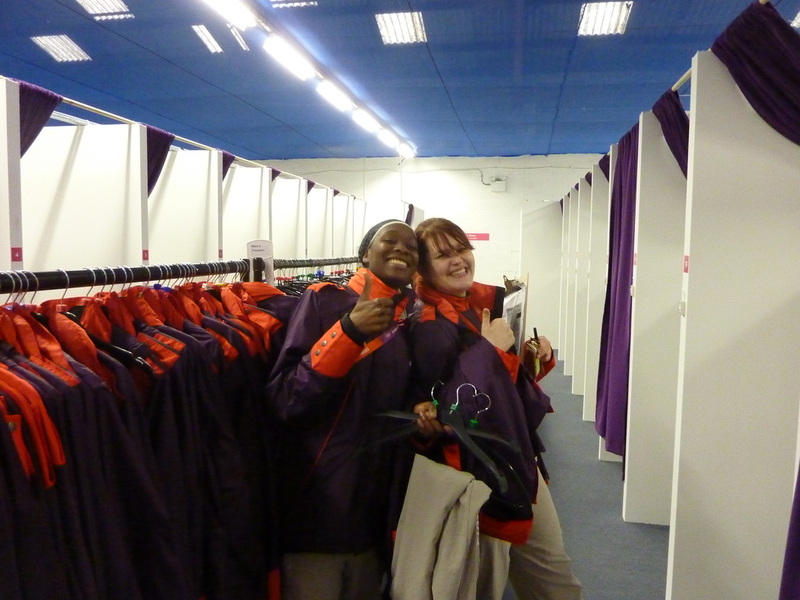 Above photo on left is where they had all the jackets, polo shirts and trousers - in a multitude of sizes, all ready for you to try on. Stretching away down both sides of the picture are all the fitting rooms. Once you had nailed down all your required sizes, you then moved on to the massive kit distribution section (shown above right). It was here that they actually gave you all the parts of the uniform in the correct sizes. Different people would be grabbing different boxes and bags and piling them up in front of you. Coats, bags, bottles, shoes, socks....and it was brilliantly efficient. It reminded me of how I would envisage the military would kit out their troops. 'Scanning out' my uniform parts. Except it's all free! Once I had collected all the uniform bits, you then had to 'check out', as if in a supermarket. Each part was 'scanned' through at a till. You were even given a full itemised receipt, confirming all the parts that you had been given. 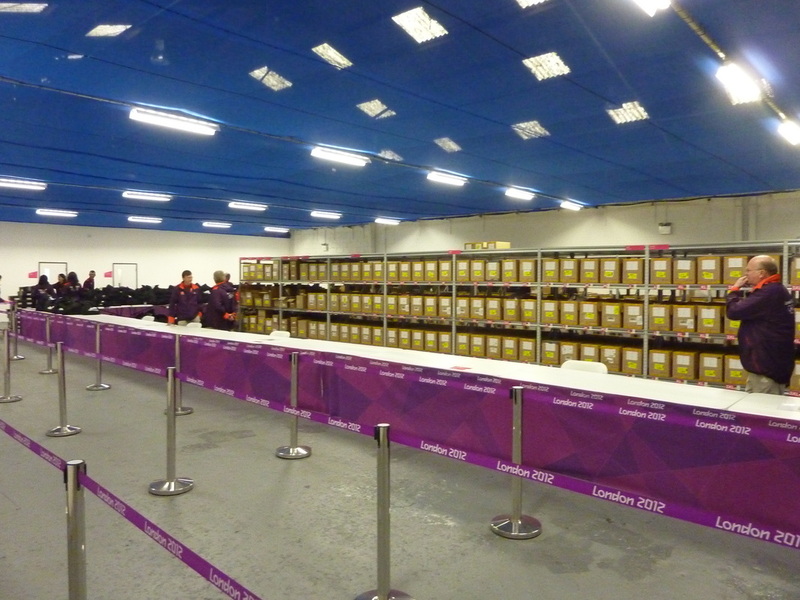 Then finally, after that, you collected your completed Accreditation Pass and Oyster card which provided free train/bus travel for the duration of the games (though actually you could use it well before the games - I know I did). And here I am in my uniform at home. What a beautiful thing it is! And the kit is pretty decent as well! Next up.....Dress Rehearsals and Opening Ceremony!